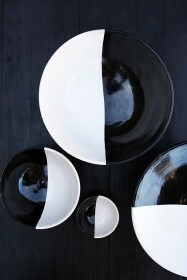 The ceramic Faria range is inspired from Scandenese, where elements from Scandinavia and Japan mix together in harmony to create a truly unique collection. 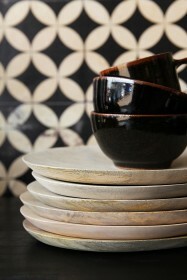 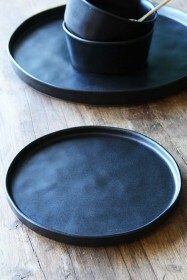 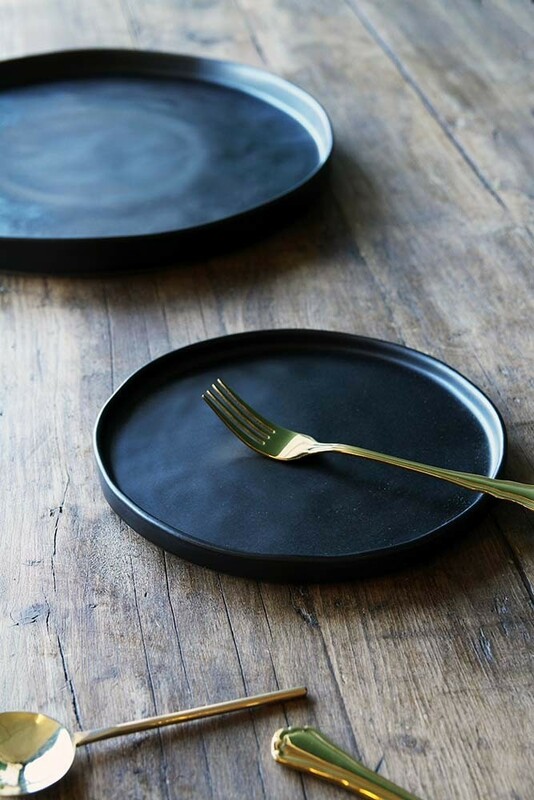 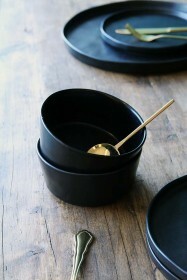 Beautifully made in natural and tactile materials, this stylish collection focuses on shape and the way each piece is formed to create simple hand-crafted ceramics.The soft matt black glaze is the perfect everyday tableware for your home, but we particularly love them for parties and entertaining! Food really pops against the dark black finish and is a perfect collection for those foodies out there. 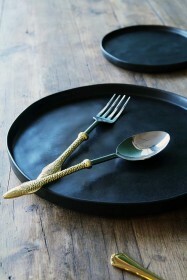 Use this Faria Side Plate to accompany other pieces in the range at a dinner party or as a lunch and snack plate.